This playful mini skirt showcases eyelet embroidery in our favorite spice hue of the season. This playful mini skirt showcases eyelet embroidery in our favorite spice hue of the season. 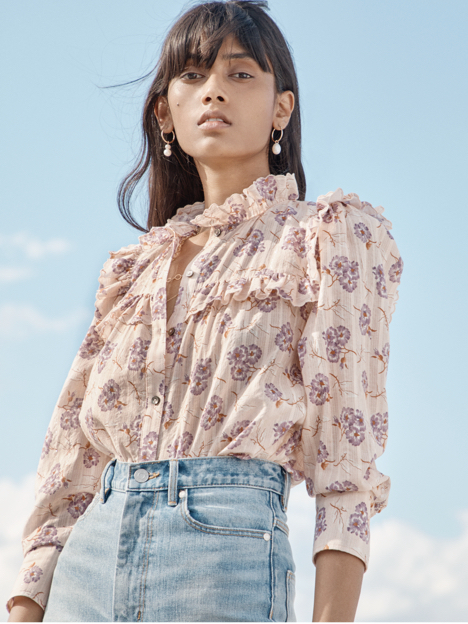 Trimmed with ruffles for additional texture, it can be paired with our Karina Eyelet Top or a floral blouse for a mixed-motif moment.